Welcome to the Skin Clinic, Facial Aesthetic Experts. The Clinic offers a variety of treatments including anti wrinkle, microneedling for acne scarring, lip fillers, cheek fillers, dermal fillers, tear trough fillers and jawline sculpting, Chemical Peels and Migraine injections.  The Clinic is the creation of Dr Sarah Parkes (DC). She is an expert in her field being an Advanced Aesthetic Nurse Prescriber. She has performed hundreds of treatments safely with fantastic results. The Clinic's ethos is to provide the best service possible with client safety and satisfaction a priority. The Skin Clinic is located in Llandarcy (close to The David Lloyd health Club) just off Jct 43 on the M4, approximately 5 mintues drive from Port Talbot.